The cross lock name is possibly the most logical description as it refers to the shape of the key that looks like it fits a Phillips head screwdriver, a plus or a cross indentation. The name, “Zeiss” has nothing to do with the word cross or plus sign, but probably got its name from the lock manufacturer. How is a cruciform lock used? In America, a cruciform lock is usually used on steering wheel locks which is a tubular locking bar that fits across your steering wheel. When you park your vehicle, you secure the lock to prevent car theft. They also are sometimes used on household safes. They are used similar to how a tubular or a barrel lock is used. In other countries, they are sometimes found on doors. A cruciform lock is a mixture of several lock style technologies that fits somewhere in between the standard pin tumbler and the tubular lock. They offer greater protection if they are manufactured well or provide a false sense of security if not. When a key is cut, the combination of the key cuts is called the bitting. 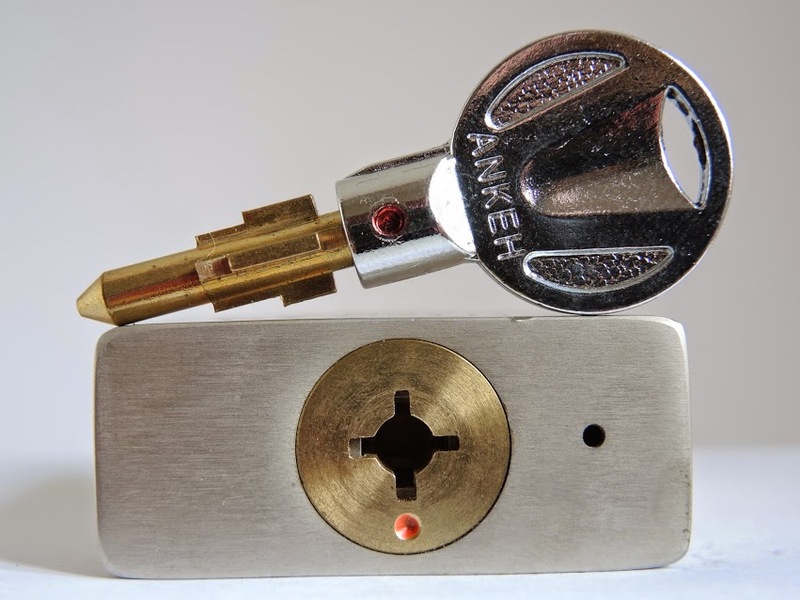 Ensure that your cruciform lock is well made by first checking out the bitting on the key. If there is no bitting on a side you can be certain that there are no pins on that side of the lock. Also look for the size of your lock’s key way. On a well-made cruciform lock, you will not be able to easily insert common screwdrivers or household tools to pick the lock. These locks still use a pin tumbler system but are perceived to be more secure because they use four shear lines. The key insert has a cross shape that fits the key. Each groove on the key corresponds to a set of pins. The average minimum number of pins for a cruciform lock is 16. The more pins, the longer and more difficult it will be to pick it. The cross-shaped key has to be placed in one correct position or it will not open the lock. Make sure the cruciform lock you are using is the best quality, and if you find yourself locked out of your own cruciform steering wheel or safe lock, call a qualified locksmith to get you out of the stressful situation! For more information from Gilbert Locksmith about our locksmith service in Gilbert click here!